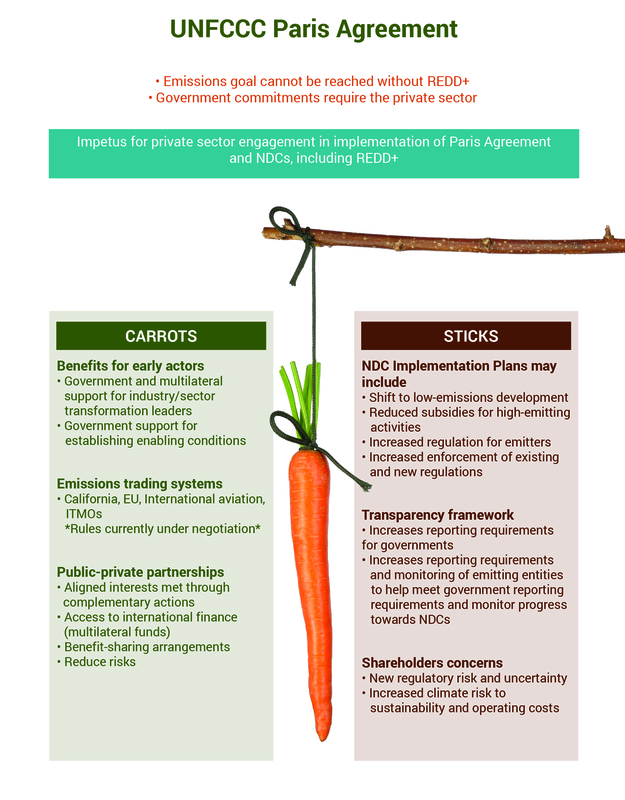 In December 2015, 197 countries approved the Paris Agreement, a historic global agreement that enshrined forests in the new international climate agenda. In doing so, governments expanded the opportunities for forests to play a key part in our global response to climate change. One promising opportunity to utilize forests for climate action is through a UN program known as Reducing Emissions from Deforestation and forest Degradation, or REDD+. While Forest Trends’ research shows that until now, governments have provided the majority of finance for REDD+ activities, it is clear that the private sector needs to increase its participation if we are to achieve the ultimate goal of stopping deforestation. 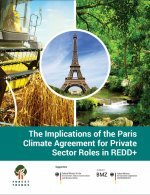 The comprehensive analysis, “The Implications of the Paris Climate Agreement for Private Sector Roles in REDD+,” concludes that in addition to opportunities for the private sector to dramatically increase funding levels for forest protection, business leadership can also better align corporate and government policies to achieve the goals of the Paris Agreement. To facilitate that leadership, it is critical that national governments create a broad range of policies and incentives that spur the private sector to act, either voluntarily or in order to comply with domestic law. 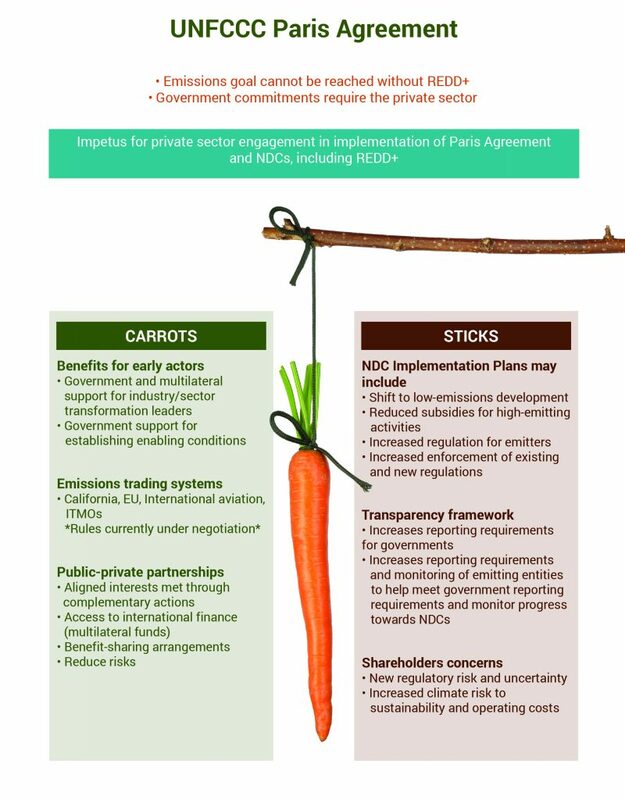 Figure: Complementary and collaborative actions by governments and companies are needed to reduce risk and sustain a healthy climate for people and business.